By Awesome.me, the student-athlete showcase website. Successful teams work well together. The way you treat your teammates and coaches matters. 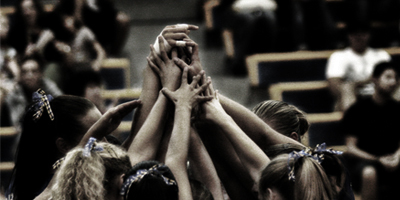 Team cohesion and morale requires a balanced effort, and it starts with each player. Following are five ways that athletes can put their best foot forward with teammates and coaches. Coaches value players who are eager to learn, grow, and improve. Players should have a positive attitude, be open and receptive to suggestions and constructive criticism, and work hard to improve their skills, technique, and conditioning. Coachable players are able to take their coaches’ feedback, implement it, and work at it until it results in better performances. Players should be respectful of their coaches and teammates both on and off the field. This includes being polite, showing up on time to practices, games, and team functions, being prepared, and listening. Trust and respect go hand in hand. Trust enables players to be more confident in their actions because they know that their teammates will be supportive. Exhibiting respect in every setting will help build trust with both coaches and teammates, and will better position athletes for success. Leaders take the initiative to make the team better. They take the small steps and do the big things that help teammates and coaches, and that make the team the best that it can be. They share information, knowledge, and experience. They encourage struggling teammates, and they mentor younger players. They practice hard to improve, and give everything that they have in all of their games for the benefit of the team. Team players are leaders in every sense of the word, and they don’t need coaches or parents to remind them of what is needed for success. They take the initiative to make themselves, the people around them, and their organizations better with their involvement or participation. Players want to be valued as people on the field and off. Building strong relationships with teammates off the field will help team cohesion and morale. Players should spend time with each other in situations other than practice and games. Players should understand the personalities of their teammates, their likes and dislikes, and the most effect ways to communicate with them. Supporting teammates in times of need, both on and off the field, can mean a lot to a player and can go a long way towards strengthening the team. Successful teams know that improvement, focus, and discipline yield results. Progress comes from building on small successes over the course of a season. Team players commit themselves to what will benefit the team, not individuals or individual statistics. Players who are too concerned with individual accolades or performances are detrimental to the team, and prevent the team from achieving its potential. The best teammates are those who are willing to do whatever it takes to help the team. Great team players represent themselves, their teammates, and coaches positively both on and off the field. They work hard in practice and games, and they put in the extra effort required to improve. The character that athletes build by being team players and good teammates will serve them well for the rest of their lives. Awesome.me is the student athlete showcase. Simple, beautiful, and free, Awesome.me enables student athletes to showcase skills, talents, and interests in stunning fashion with video, images, audio, and text.